Fast, ultra-reliable monochrome laser printer that fits your space as well as your print volumes. Provides the largest standard input capacity in the E460 Series. Lexmark's warranty options on the Lexmark E Series provide sound peace of mind. Enhanced service offerings may be available by contacting your Lexmark representative. Optimize your printer's performance and investment value by using genuine Lexmark supplies, service and parts. 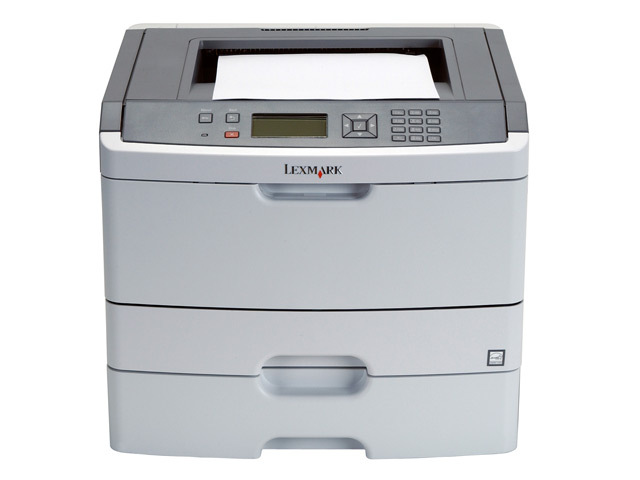 The Lexmark E462dtn is ultra-compact, yet provides the largest standard input capacity and toner capacity in the E460 Series. With two 250-sheet paper inputs plus a 50-sheet multipurpose feeder, you’ll have plenty of paper for your busiest workdays. 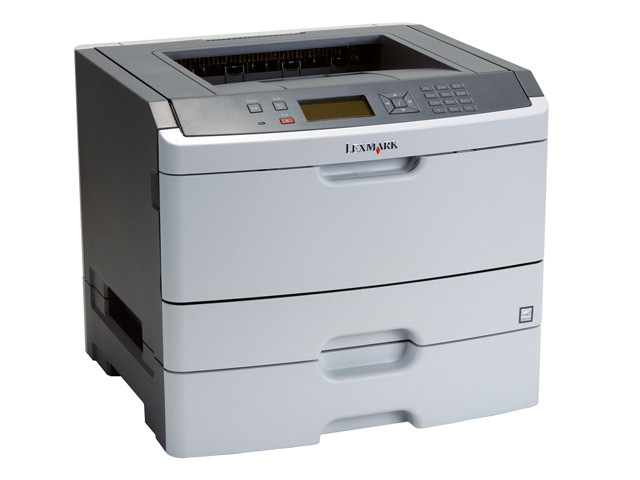 Designed with eco-conscious features like Eco-Mode and an instant warm-up fuser to help you save paper and energy. Recycle your empty cartridges free of charge through the Lexmark Cartridge Collection Program (see Related Link to learn more). Printing responsibly means everyone wins—your business, your budget and the environment! Brings hassle-free printing to your fingertips. Experience enhanced security and time savings with a range of high-end features you typically wouldn't expect on such an attractively priced printer like a numeric pad for confidential printing, early-warning alerts for low toner, and customisable operator panel messaging. True 1200 x 1200 dpi print quality and performance features like a rapid time-to-first-page (as fast as 6.5 seconds) help you perform at your best. Built-in networking lets you share the Lexmark E462dtn with others, and built-in duplexing makes it easy to save paper.